In contrast to the abundance of motor skill acquisition and performance research, there is a paucity of work which addresses how athletes with an already learnt and well-established skill may go about making a subtle change, or refinement, to that skill. Accordingly, the purpose of this review paper is to provide a comprehensive overview of current understanding pertaining to such practice. Specifically, this review addresses deliberately initiated refinements to closed and self-paced skills (e.g., javelin throwing, golf swing and horizontal jumps). In doing so, focus is directed to three fundamental considerations within applied coaching practice and future research endeavours; the intended outcomes, process and evaluative measures of skill refinement. Conclusions suggest that skill refinement is not the same as skill acquisition or performing already learnt skills with high-levels of automaticity. Due to the complexity of challenge faced, refinements are best addressed as an interdisciplinary solution, with objective measures informing coach decision making. 1. Abraham A., Collins D. Effective skill development: How should athletes’ skills be developed? In: Performance psychology: A practitioner’s guide. Eds. D. Collins, A. Button, H. Richards. Elsevier. Oxford 2011a: 207–229. 2. Abraham A., Collins D. Taking the next step: Ways forward for coaching science. Quest 2011b; 63 (4): 366–384; DOI 10.1080/00336297. 2011.10483687. 3. Abraham A., Collins D., Martindale R. The coaching schematic: Validation through expert coach consensus. Journal of Sports Sciences. 2006; 24 (6): 549–564; DOI 10.1080/02640410500189173. 4. Alexander J. The Players Championship: Craig Perks. Retrieved 6 March 2014, www.asapsports.com/show_interview.php?id=6956 (25.03.2003). 5. Anderson A.G., Miles A., Mahoney C., Robinson P. Evaluating the effectiveness of applied sport psychology practice: Making the case for a case study approach. The Sport Psychologist. 2002; 16 (4): 432–453. 6. Anderson J.R. Acquisition of cognitive skill. Psychological Review. 1982; 89 (4): 369–406; DOI 10.1037/0033-295X.89.4.369. 7. Bar-Eli M. On the use of paradoxical interventions in counseling and coaching in sport. The Sport Psychologist. 1991; 5 (1): 61–72. 8. BBC. Lessions I have learned: Steve Backley. Retrieved 6 March 2014, http://news.bbc.co.uk/sport1/hi/athletics/skills/6615335.stm (8.05.2007). 9. Beilock S.L., Carr T.H. On the fragility of skilled performance: What governs choking under pressure? Journal of Experimental Psychology: General. 2001; 130 (4): 701–725; DOI 10.1037/0096-3445.130.4.701. 10. Beilock S.L., Carr T.H. When high-powered people fail: Working memory and “choking under pressure” in math. Psychological Science. 2005; 16 (2): 101–105; DOI 10.1111/j.0956-7976.2005.00789.x. 13. Beilock S.L., Kulp C.A., Holt L.E., Carr T.H. More on the fragility of performance: Choking under pressure in mathematical problem solving. Journal of Experimental Psychology: General. 2004b; 133 (4): 584–600; DOI 10.1037/0096-3445.133.4.584. 14. Bell J.J., Hardy J. Effects of attentional focus on skilled performance in golf. Journal of Applied Sport Psychology. 2009; 21 (2): 163–177; DOI 10.1080/10413200902795323. 16. M. Bar-Eli, G. Tenenbaum. Wiley. Chichester 2002: 55–76. 17. Boer de B.J., Peper C.L., Beek P.J. Learning a new bimanual coordination pattern: Interlimb interactions, attentional focus, and transfer. Journal of Motor Behavior. 2013; 45 (1): 65–77; DOI 10.1080/00222895.2012.744955. 18. Bradshaw E.J., Hume P.A., Aisbett B. Performance score variation between days at Australian national and Olympic women’s artistic gymnastics competition. Journal of Sports Sciences. 2012; 30 (2): 191–199; DOI 10.1080/02640414.2011.633927. 19. Brown S.J., Selbie W.S., Wallace E.S. The X-Factor: An evaluation of common methods used to analyse major inter-segment kinematics during the golf swing. Journal of Sports Sciences. 2013; 31 (11): 1156–1163; DOI 10.1080/02640414.2013.775474. 20. Butz M., Wörgötter F., van Ooyen A. Activity-dependent structural plasticity. Brain Research Reviews. 2009; 60 (2): 287–305; DOI 10.1016/j.brainresrev.2008.12.023. 21. Calmels C., Holmes P., Berthoumieux C., Singer R.N. The development of movement imagery vividness through a structured intervention in softball. Journal of Sport Behavior. 2004; 27 (4): 307–322. 22. Carson H.J., Collins D. Refining and regaining skills in fixation/diversification stage performers: The Five-A Model. International Review of Sport and Exercise Psychology. 2011; 4 (2): 146–167; DOI 10.1080/1750984x.2011.613682. 23. Carson H.J., Collins D. Tracking technical refinement in elite performers: The good, the better, and the ugly. under review. 24. Carson H.J., Collins D., Jones B. A case study of technical change and rehabilitation: Intervention design and interdisciplinary team interaction. International Journal of Sport Psychology. 2014a; 45 (1): 57–78; DOI 10.7352/IJSP2014.45.057. 25. Carson H.J., Collins D., MacNamara Á. Systems for technical refinement in experienced performers: The case from expert-level golf. International Journal of Golf Science. 2013; 2 (1): 65–85. 26. Carson H.J., Collins D., Richards J. Intra-individual movement variability during skill transitions: A useful marker? 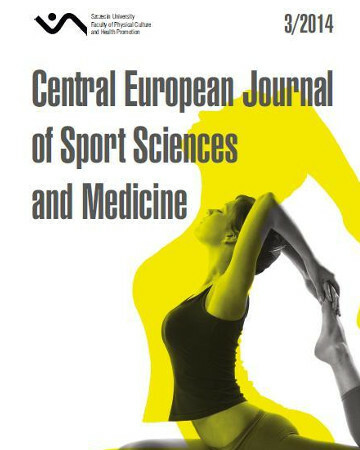 European Journal of Sport Science. 2014b; 14 (4): 327–336; DOI 10.1080/17461391.2013.814714. 27. Cheng W.-N.K., Hardy L., Markland D. Toward a three-dimensional conceptualization of performance anxiety: Rationale and initial measurement development. Psychology of Sport and Exercise. 2009; 10 (2): 271–278; DOI 10.1016/j.psychsport.2008.08.001. 28. Chow J.Y., Davids K., Button C., Koh M. Organization of motor system degrees of freedom during the soccer chip: An analysis of skilled performance. International Journal of Sport Psychology. 2006; 37 (2/3): 207–229. 29. Christina R.W., Shea J.B. More on assessing the retention of motor learning based on restricted information. Research Quarterly for Exercise and Sport. 1993; 64 (2): 217–222; DOI 10.1080/02701367.1993.10608800. 30. Collins D. (2002). Psychophysiology and sports performance. In: Brain and body in sport and exercise. Eds. B. Blumenstein, M. Bar-Eli, G. Tenenbaum. Wiley. Chichester: 15–36. 31. Collins D., Bailey R., Ford P.A., MacNamara Á., Toms M., Pearce G. Three Worlds: New directions in participant development in sport and physical activity. Sport, Education and Society. 2012; 17 (2): 225–243; DOI 10.1080/13573322.2011.607951. 32. Collins D., Doherty M., Talbot S. Performance enhancement in motocross: A case study of the sport science team in action. The Sport Psychologist. 1993; 7 (3): 290–297. 33. Collins D., Morriss C., Trower J. Getting it back: A case study of skill recovery in an elite athlete. The Sport Psychologist. 1999; 13 (3): 288–298. 34. Cordier P., France M.M., Pailhous J., Bolon P. Entropy as a global variable of the learning process. Human Movement Science. 1994; 13 (6): 745–763; DOI 10.1016/0167-9457(94)90016-7. 35. Davids K., Glazier P., Araújo D., Bartlett R. Movement systems as dynamical systems: The functional role of variability and its implications for sports medicine. Sports Medicine. 2003; 33 (4): 245–260; DOI 10.2165/00007256-200333040-00001. 36. Dougherty K.M., Johnston J.M. Overlearning, fluency, and automaticity. The Behavior Analyst. 1996; 19 (2): 289–292. 37. Ericsson A.K., Krampe R.T., Tesch-Römer C. The role of deliberate practice in the acquisition of expert performance. Psychological Review. 1993; 100 (3): 363–406; DOI 10.1037/0033-295X.100.3.363. 38. Evans R. The human side of business process re-engineering. Management Development Review. 1994; 7 (6): 10–12; DOI 10.1108/ 09622519410074154. 39. Eysenck M.W., Derakshan N., Santos R., Calvo M.G. Anxiety and cognitive performance: Attentional control theory. Emotion. 2007; 7 (2): 336–353; DOI 10.1037/1528-3542.7.2.336. 40. Fitts P.M., Posner M.I. Human performance. Brooks/Cole Publishing Company. California 1967. 41. Gentile A.M. A working model of skill acquisition with application to teaching. Quest 1972; 17: 3–23; DOI 10.1080/00336297.1972. 10519717. 42. Grood E.S., Suntay W.J. A joint coordinate system for the clinical description of three-dimensional motions: Application to the knee. Journal of Biomechanical Engineering. 1983; 105 (2): 136–144; DOI 10.1115/1.3138397. 43. Hanin Y., Korjus T., Jouste P., Baxter P. Rapid technique correction using old way/new way: Two case studies with Olympic athletes. The Sport Psychologist. 2002; 16 (1): 79–99. 44. Hanin Y., Malvela M., Hanina M. Rapid correction of start technique in an Olympic-level swimmer: A case study using old way/new way. Journal of Swimming Research. 2004; 16 (1): 11–17. 45. Hodges N.J., Franks I.M. Modelling coaching practice: The role of instruction and demonstration. Journal of Sports Sciences. 2002; 20 (10): 793–811; DOI 10.1080/026404102320675648. 46. Holmes P.S., Collins D.J. The PETTLEP approach to motor imagery: A functional equivalence model for sport psychologists. Journal of Applied Sport Psychology. 2001; 13 (1): 60–83; DOI 10.1080/10413200109339004. 48. Jenkins S. Can elite tournament professional golfers prevent habitual actions in their putting actions? International Journal of Sports Science and Coaching. 2008; 3 (1): 117–127; DOI 10.1260/174795408785024108. 49. Kelso J.A.S. Dynamic patterns: The self-organization of brain and behavior. MIT Press, Cambridge, MA 1995. 50. Kostrubiec V., Tallet J., Zanone P.-G. How a new behavioral pattern is stabilized with learning determines its persistence and flexibility in memory. Experimental Brain Research. 2006; 170 (2): 238–244; DOI 10.1007/s00221-005-0208-6. 51. Lang P.J. A bio-informational theory of emotional imagery. Psychophysiology. 1979; 16 (6): 495−512; DOI 10.1111/j.1469-8986.1979. tb01511.x. 52. Lawrence G.P., Gottwald V.M., Hardy J., Khan M.A. Internal and external focus of attention in a novice form sport. Research Quarterly for Exercise and Sport. 2011; 82 (3): 431–441; DOI 10.1080/02701367.2011.10599775. 53. Li Y., Wright D.L. An assessment of the attention demands during random- and blocked-practice schedules. The Quarterly Journal Of Experimental Psychology. A, Human Experimental Psychology. 2000; 53 (2): 591–606; DOI 10.1080/713755890. 54. Light R. Complex learning theory – Its epistemology and its assumptions about learning: Implications for physical education. Journal of Teaching in Physical Education. 2008; 27 (1): 21–37. 55. MacPherson A.C., Collins D., Morriss C. Is what you think what you get? Optimizing mental focus for technical performance. The Sport Psychologist. 2008; 22 (3): 288–303. 57. MacPherson A.C., Turner A.P., Collins D. An investigation of natural cadence between cyclists and noncyclists. Research Quarterly for Exercise and Sport. 2007; 78 (4): 396–400; DOI 10.1080/02701367.2007.10599438. 59. Masters R.S.W. Knowledge, knerves and know-how: The role of explicit versus implicit knowledge in the breakdown of a complex motor skill under pressure. British Journal of Psychology. 1992; 83 (3): 343–358; DOI 10.1111/j.2044-8295.1992.tb02446.x. 60. Masters R., Maxwell J. The theory of reinvestment. International Review of Sport and Exercise Psychology. 2008; 1 (2): 160–183; DOI 10.1080/17509840802287218. 61. Masters R.S.W, Maxwell J.P. Implicit motor learning, reinvestment and movement disruption: What you don’t know won’t hurt you? In: Skill acquisition in sport: Research, theory and practice. Eds. A.M. Williams, N.J. Hodges. Routledge. London 2004: 207–228. 62. McClung M., Collins D. “Because I know it will!”: Placebo effects of an ergogenic aid on athletic performance. Journal of Sport &amp; Exercise Psychology. 2007; 29 (3): 382–394. 63. Mercado E., III. Neural and cognitive plasticity: From maps to minds. Psychological Bulletin. 2008; 134 (1): 109–137; DOI 10.1037/0033-2909.134.1.109. 64. Mesagno C., Mullane-Grant T. A comparison of different pre-performance routines as possible choking interventions. Journal of Applied Sport Psychology. 2010; 22: 343–360; DOI 10.1080/10413200.2010.491780. 65. Müller H., Sternad D. Decomposition of variability in the execution of goal-oriented tasks: Three components of skill improvement. Journal of Experimental Psychology: Human Perception and Performance. 2004; 30 (1): 212–233; DOI 10.1037/0096-1523.30.1.212. 66. Myers J., Lephart S., Tsai Y.-S., Sell T., Smoliga J., Jolly J. The role of upper torso and pelvis rotation in driving performance during the golf swing. Journal of Sports Sciences. 2008; 26 (2): 181–188; DOI 10.1080/02640410701373543. 67. Nash C., Collins, D. Tacit knowledge in expert coaching: Science or art? Quest 2006; 58 (4): 465–477; DOI 10.1080/00336297.2006. 10491894. 68. Newell K.M. (1986). Constraints to the development of coordination. In: Motor development in children: Aspects of coordination and control. Eds. M.G. Wade, H.T.A. Whiting. The Netherlands: Martinus Nijhoff. Dordrecht: 341–360. 69. Newell K.M., Liu Y.-T., Mayer-Kress G. Time scales in motor learning and development. Psychological Review. 2001; 108 (1): 57–82; DOI 10.1037/0033-295X.108.1.57. 70. Nicholls A.R., Holt N.L., Polman R.C.J., James D.W.G. Stress and coping among international adolescent golfers. Journal of Applied Sport Psychology. 2005; 17 (4): 333–340; DOI 10.1080/10413200500313644. 71. Oudejans R.R.D., Koedijker J.M., Beek P.J. An outside view on Wulf’s external focus: Three recommendations. E-journal Bewegung und Training. 2007; 1: 41–42, www.ejournal-but.de. 72. Palmer C.L., Burwitz L., Smith N.C., Collins D. Adherence to fitness training of elite netball players: A naturalistic inquiry. The Sport Psychologist. 1999; 13 (3): 313–333. 73. Panjabi M.M., White III A.A., Brand Jr R.A. A note on defining body parts configurations. Journal of Biomechanics. 1974; 7 (4): 385–387; DOI 10.1016/0021-9290(74)90034-7. 76. Payton C.J. (2008). Motion analysis using video. In: Biomechanical evaluation of movement in sport and exercise. Eds. C.J. Payton, R.M. Bartlett. Routledge. Abingdon: 8–32. 77. Peh S.Y.-C., Chow J.Y., Davids K. Focus of attention and its impact on movement behaviour. Journal of Science and Medicine in Sport. 2011; 14 (1): 70–78; DOI 10.1016/j.jsams.2010.07.002. 78. Perkins-Ceccato N., Passmore S.R., Lee T.D. Effects of focus of attention depend on golfers’ skill. Journal of Sports Sciences. 2003; 21 (8): 593–600; DOI 10.1080/0264041031000101980. 79. PGA Tour. (2014). Craig Perks PGA Tour career summary, www.pgatour.com/players/player.10912.craig-perks.html/career (6.03.2014). 80. Prochaska J.O., DiClemente C.C. Transtheoretical therapy: Toward a more integrative model of change. Psychotherapy: Theory, Research & Practice. 1982; 19 (3): 276–288; DOI 10.1037/h0088437. 81. Prochaska J.O., DiClemente C.C. Stages and processes of self-change of smoking: Toward an integrative model of change. Journal of Consulting and Clinical Psychology. 1983; 51 (3): 390–395; DOI 10.1037/0022-006x.51.3.390. 82. Rendell M.A., Farrow D., Masters R., Plummer N. Implicit practice for technique adaptation in expert performers. International Journal of Sports Science and Coaching. 2011; 6 (4): 553–566; DOI 10.1260/1747-9541.6.4.553. 83. Salmoni A.W., Schmidt R.A., Walter C.B. Knowledge of results and motor learning: A review and critical reappraisal. Psychological Bulletin. 1984; 95 (3): 355–386; DOI 10.1037/0033-2909.95.3.355. 84. Schack T., Bar-Eli M. Psychological factors of technical preparation. In: Psychology of sport training. Eds. B. Blumenstein, R. Lidor, G. Tenenbaum. Meyer & Meyer Sport. Münster 2007: 62–103. 85. Schempp P., McCullick B., Mason I. The development of expert coaching. In: The sports coach as teacher: Reconceptualising sports coaching. Ed. R. Jones. Routledge. London 2006: 145–161. 86. Schempp P., Templeton C., Clark B. The knowledge acquisition of expert golf instructors. In: Science and golf III: Proceedings of the world scientific congress of golf. Eds. M. Farrally, A.J. Cochran. Human Kinetics. Leeds 1998: 295–301. 87. Schmidt R.A., Zelaznik H., Hawkins B., Frank J.S., Quinn Jr J.T. Motor-output variability: A theory for the accuracy of rapid motor acts. Psychological Review. 1979; 86 (5): 415–451; DOI 10.1037/0033-295x.86.5.415. 88. Scholz J.P., Schöner G. The uncontrolled manifold concept: Identifying control variables for a functional task. Experimental Brain Research. 1999; 126 (3): 289–306; DOI 10.1007/s002210050738. 89. Scholz J.P., Schöner G., Latash M.L. Identifying the control structure of multijoint coordination during pistol shooting. Experimental Brain Research. 2000; 135 (3): 382–404; DOI 10.1007/s002210000540. 90. Schorer J., Baker J., Fath F., Jaitner T. Identification of interindividual and intraindividual movement patterns in handball players of varying expertise levels. Journal of Motor Behavior. 2007; 39 (5): 409–421; DOI 10.3200/JMBR.39.5.409-422. 91. Selfe J., Thewlis D., Hill S., Whitaker J., Sutton C., Richards J. A clinical study of the biomechanics of step descent using different treatment modalities for patellofemoral pain. Gait & Posture. 2011; 34 (1): 92–96; DOI 10.1016/j.gaitpost.2011.03.019. 92. Singer R.N. Preperformance state, routines, and automaticity: What does it take to realize expertise in self-paced events? Journal of Sport & Exercise Psychology. 2002; 24 (4): 359–375. 93. Sparrow W.A., Hughes K.M., Russell A.P., Le Rossignol P.F. Effects of practice and preferred rate on perceived exertion, metabolic variables and movement control. Human Movement Science. 1999; 18 (2–3): 137–153; DOI 10.1016/S0167-9457(99)00005-6. 96. Tallet J., Kostrubiec V., Zanone P.G. The role of stability in the dynamics of learning, memorizing, and forgetting new coordination patterns. Journal of Motor Behavior. 2008; 40 (2): 103–116; DOI 10.3200/JMBR.40.2.103-116. 97. Trower J. Athlete, coach and sport scientist: Working in partnership. Paper presented at the Annual Conference of the British Association of Sport and Exercise Sciences. Lilleshall: 1996, September. 98. Verdi B. Perks finds the game’s darkest place, then walks away. Retrieved 7 March 2014, http://sports.yahoo.com/news/verdi-column- perks-finds-games-192429182--golf.html (2012, 10 May). 99. Wood G., Wilson M. Quiet-eye training for soccer penalty kicks. Cognitive Processing. 2011; 12 (3): 257–266; DOI 10.1007/ s10339-011-0393-0. 100. Wu T., Chan P., Hallett M. Modifications of the interactions in the motor networks when a movement becomes automatic. The Journal of Physiology. 2008; 586 (Pt 17): 4295–4304; DOI 10.1113/jphysiol.2008.153445.